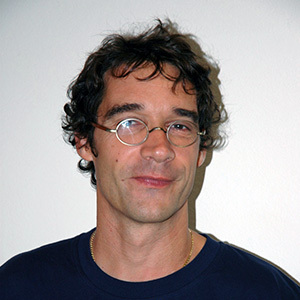 PI: Lionel Gourdeau (09-Jun-17). 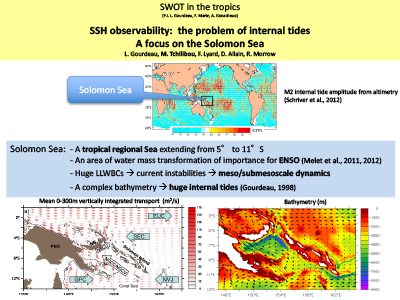 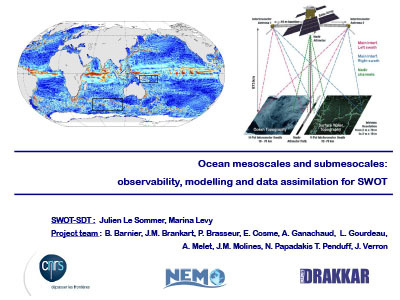 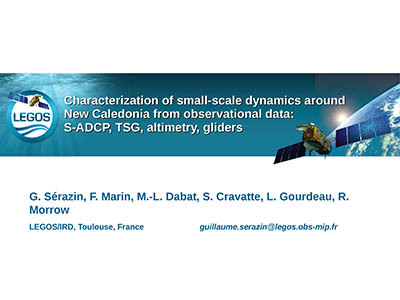 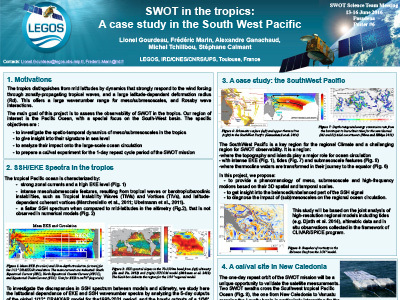 This proposal aims at federating people from different communities working on climate, turbulence, models and observations in order to investigate how the high-resolution and high-frequency (1-day) measurements of SWOT could be dynamically interpreted and used in the tropics. 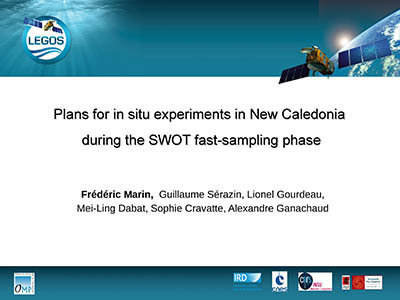 The ultimate purpose is to propose for the next SWOT call a cal/val experiment based on the results of this proposal.